with Reserved Font Name "Pompiere". 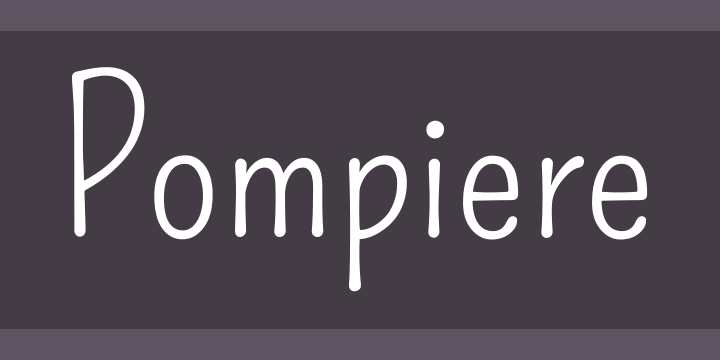 Pompiere is a low contrast condensed sans serif font. However unlike most sans it has very tall ascenders and and very small x height. Pompiere is playful and even a little sweet. This font was inspired by a handmade sign seen outside of NYC firefighters Squad Co. 18 in the West Village of Manhattan. Because of its small x height and modest weight it will work best at medium to large sizes.